We depend on--we believe in--algorithms to help us get a ride, choose which book to buy, execute a mathematical proof. It's as if we think of code as a magic spell, an incantation to reveal what we need to know and even what we want. Humans have always believed that certain invocations--the marriage vow, the shaman's curse--do not merely describe the world but make it. Computation casts a cultural shadow that is shaped by this long tradition of magical thinking. 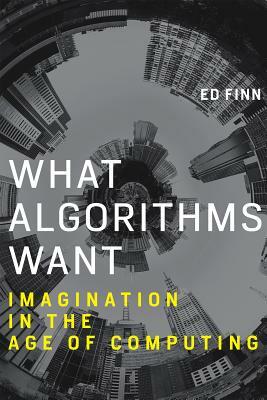 In this book, Ed Finn considers how the algorithm--in practical terms, "a method for solving a problem"--has its roots not only in mathematical logic but also in cybernetics, philosophy, and magical thinking. Finn argues that the algorithm deploys concepts from the idealized space of computation in a messy reality, with unpredictable and sometimes fascinating results. Drawing on sources that range from Neal Stephenson's Snow Crash to Diderot's Encyclop die, from Adam Smith to the Star Trek computer, Finn explores the gap between theoretical ideas and pragmatic instructions. He examines the development of intelligent assistants like Siri, the rise of algorithmic aesthetics at Netflix, Ian Bogost's satiric Facebook game Cow Clicker, and the revolutionary economics of Bitcoin. He describes Google's goal of anticipating our questions, Uber's cartoon maps and black box accounting, and what Facebook tells us about programmable value, among other things. If we want to understand the gap between abstraction and messy reality, Finn argues, we need to build a model of "algorithmic reading" and scholarship that attends to process, spearheading a new experimental humanities.